Chishtian is a Tehsil of district Bahawalnagar of province Punjab. The city is situated at 150 meters above sea level. It was a sub-division of Bahawalpur Division, which was part of Bahawalpur State. Chishtian Mandi name is common among old aged persons due to the grain market, the economical hub of the city. The city is also called as Chishtian Shareef, name due to the presence of shrines of Sufi saints.There are several mills and factories located in Chishtian. 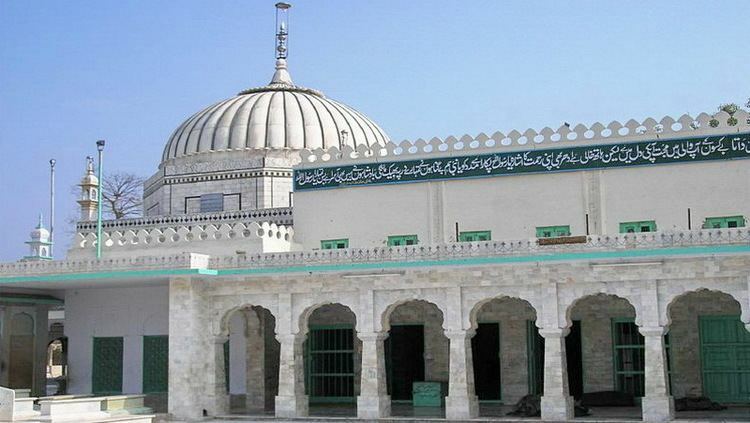 Chishtian city was founded by Sufi saint Shaikh Khawaja Tajuddin Chishti around 1275 CE (674 Hijri, Islamic calendar). The town is called Chishtian because of the of Sufi Chishti Order. He was grandson of Sufi saint Fariduddin Ganjshakar of Pakpattan. The predominantly Muslim population supported Muslim League and Pakistan Movement. After the independence of Pakistan in 1947 many Muslim refugees from India settled in Chishtian. The Grain Market of Chishtian is a business hub of the area. Chishtian is surrounded by small industries and huge agricultural farms. A sugar mill also operates in vicinity of the city. The city is also popular because of its cotton crop. A paper mill, many cotton factories and ice factories and a few flour mills are working in Tehsil Chishtian.